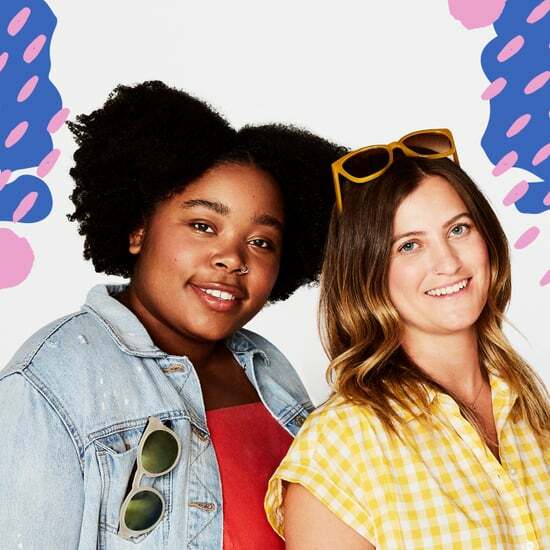 This Spring, brighten up your wardrobe and lead your best #hipowered life with these finds from Old Navy! 1. Its combination of a square neckline, thin straps, and culotte pant make this a super on-trend piece to add to your closet. 2. 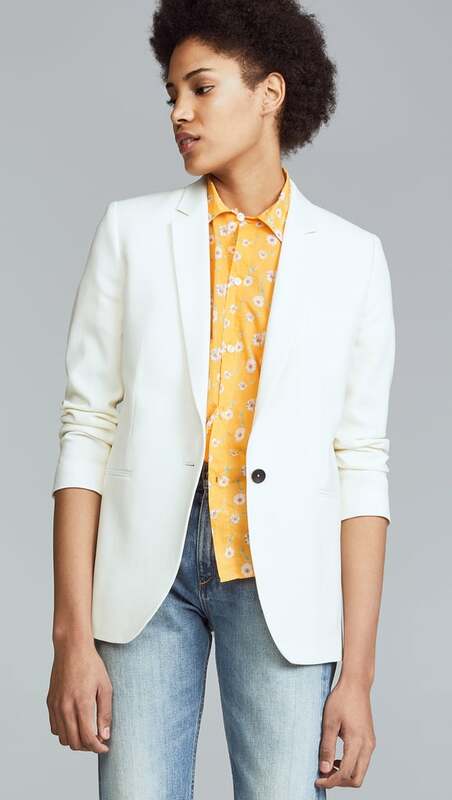 Its cut and style are flattering on almost every body shape, so anyone can pull it off. 3. 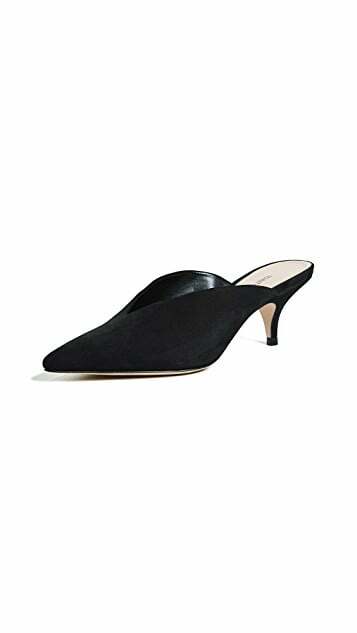 It will garner compliments from everyone from your boss to your friends to your date. 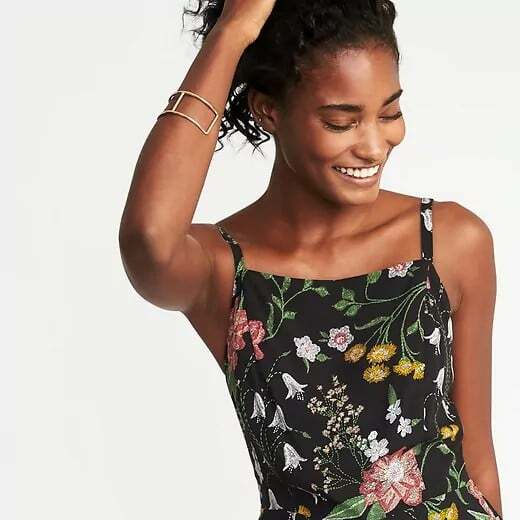 This is the floral jumpsuit ($37) we're currently loving from Old Navy. 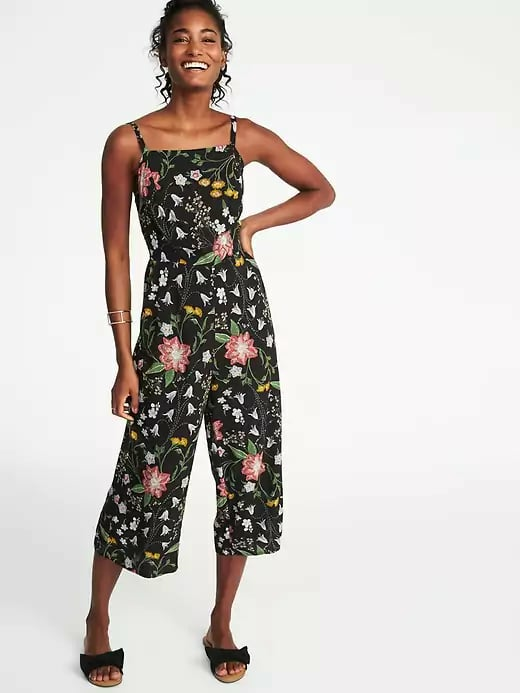 See below for all the ways this jumpsuit will bring joy to your life and wardrobe. 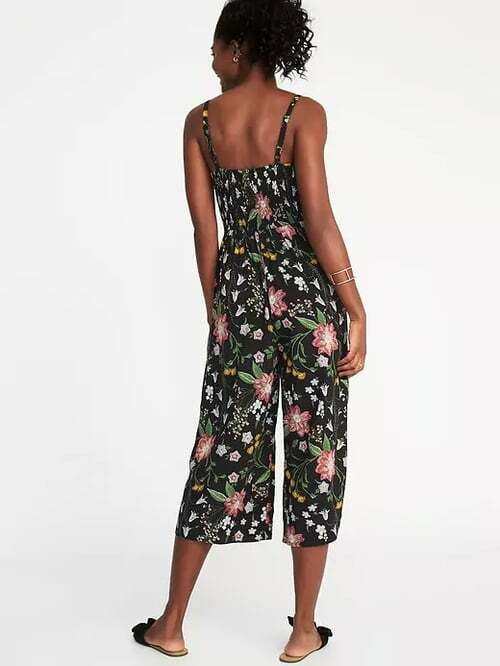 When you need to look professional yet still want to show off your personality, this floral jumpsuit is the perfect statement look. 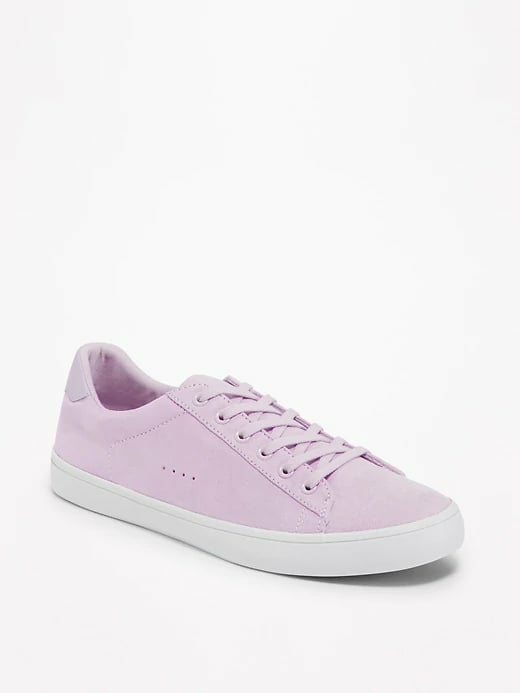 Pair it with a white blazer ($595) and simple mule pumps ($180) and you'll be good to go, but if you're giving a big presentation at work, a bold pink lip ($37) wouldn't hurt! 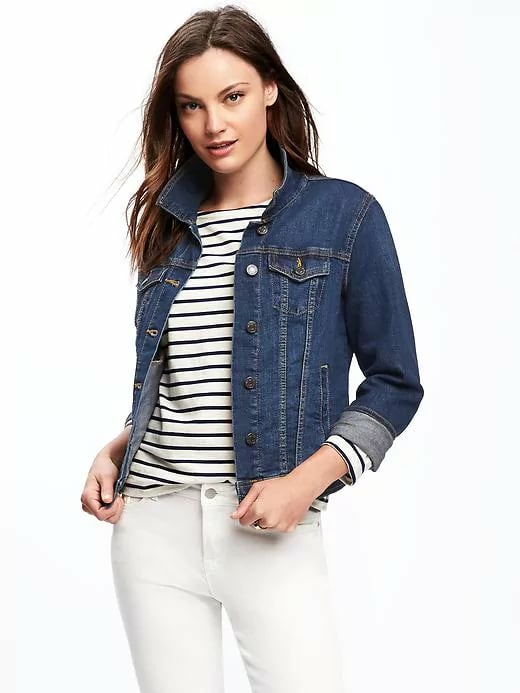 Keep your look put-together and casual for a weekend jaunt around town. Pair your floral jumpsuit with simple and transitional pieces like a dark denim jacket ($37) and cute sneakers ($22) so you're prepared for wherever the day takes you! 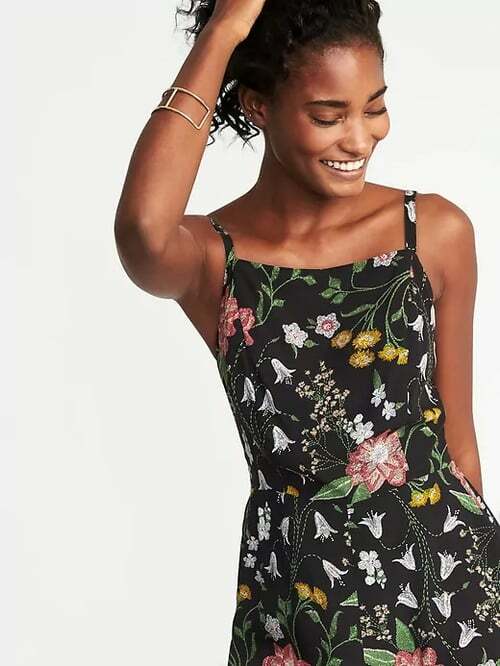 A printed jumpsuit like this has just the right touch of fancy for an evening out. 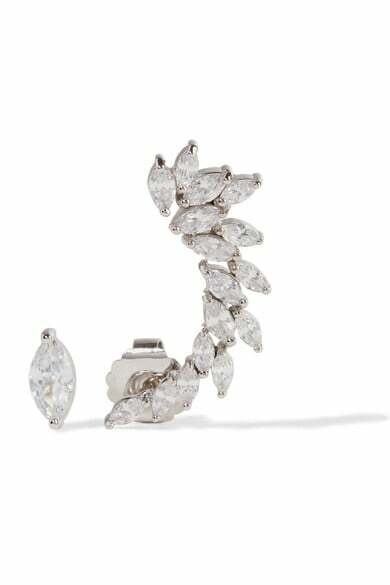 High-heeled sandals ($100) are definitely the way to go here, while a pair of blingy earrings ($115) will help dress up the whole look.